The HP-15c LE scientific calculator was released in August 2011 as a limited edition (“LE”) tribute to the original HP-15c. The calculator offers a number of advanced scientific features, including all of the original functionality, with the added ability that programs and functions can run up to 100 times faster than the original. In addition, it follows the recent HP trend of being repurposable, similar to the HP-20b and HP-30b models. Hewlett-Packard has a collection of official HP-15c LE information posted here. 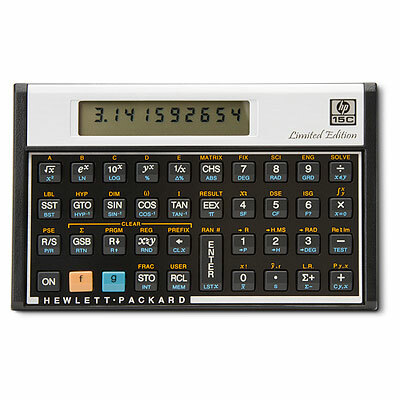 The HP-15c LE is a new breed of calculator for Hewlett-Packard, and one that reflects a casual “open source” model for HP. A group of HP calculator enthusiasts have begun work on repurposing the HP-20b and HP-30b calculators for other uses (for example, the very successful WP 34s), primarily enabled by accessing the JTAG connector on the main circuit board. At the moment, no efforts are under way to repurpose the HP-15c LE, although this is certain possible and welcome. If you happen to be working on such a project, please share your project on this wiki.